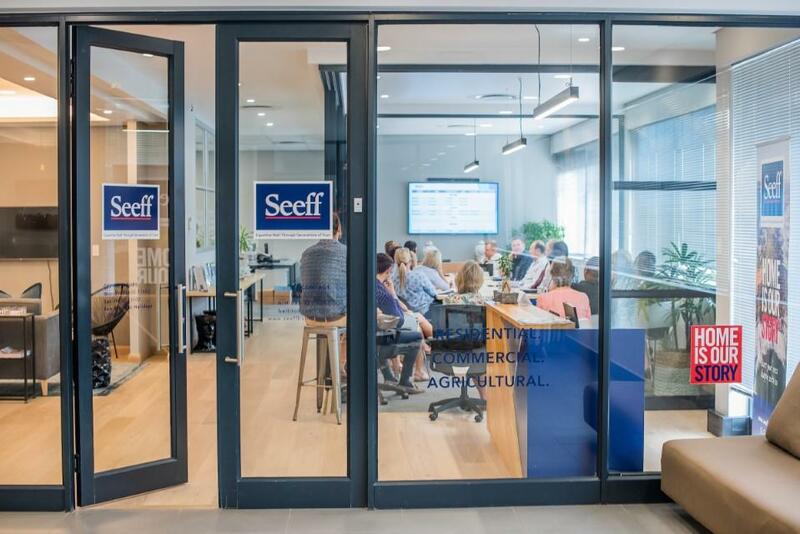 A bold proactive and future-focused strategy to "identify" opportunities to improve sustainability and business growth drove the rationale for relocating the Seeff North Coast offices to their new premises at the New Salt Rock City Shopping Centre. A crucial key factor behind the relocation decision that Seeff North Coast Directors Tim and Mark Johnson identified was the rapid migration to the North Coast. Migration has always been a push factor that is linked to new opportunities. Migration invariably impacts the economy - the key factors driving this being the quest for career progression, lifestyle choice, education options and potential opportunities for business start-ups. All of these aspects are having a definite impact on the North Coast where the continuum of buyers seeking a lifestyle move to the coast is driving long-term demand for this area's real estate. Being located in the New Salt Rock Shopping Centre was a strategic resolve as it will enable this innovative realty business to be geographically better positioned to service the rapidly expanding Ballito area as well as the various up and coming new estates currently being developed to the north of Ballito. Being aware of the changing market circumstances also pre- empted the decision to focus on realigning Seeff North Coast operationally says Principal Tim Johnson. "We know that the role of the real estate agent is not disappearing. Rather, it is evolving. We know our agents need to keep well informed both with regards property information as well as with local, national and international happenings. By keeping informed they can comfortably have a variety of conversations with their clients. Consumers are past seeing how many homes you've sold. Consumers want to be able to see exactly how you can transact during challenging times and the centre of our agents' is their relationship with their marketplace. " Now that we have settled into our beautiful new premises we are well positioned to leverage the new opportunities that have been presented to us and continue to act as a gateway into the burgeoning North Coast "concludes Tim.